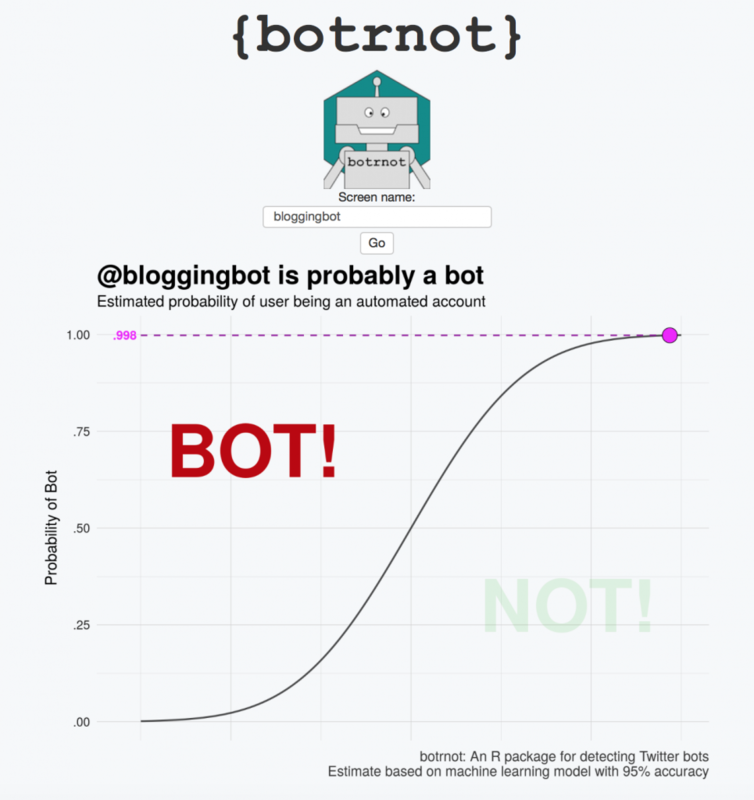 Found on FlowingData: Bot or Not: A Twitter user classifier which uses machine learning. The source code is here. Previously: I wrote about writing @bloggingbot. Joe Crawford blogged this at 9:30am in 2018 in March. The 15th was a Thursday. You are reading this 1 year later. Comment. There are no comments Tweet. Send email. It has hashtags→ bloggingbot machine-learning programming .